This review first ran in The Hamilton Spectator on July 12. Hamilton doesn’t need a hero. We shouldn’t pray for a saviour to rise from our one-way streets. And we shouldn’t pin our hopes and dreams on an elected or aspiring politician, captain of industry or civic booster with the vision, vim and vigour to singlehandedly steer Steeltown to the promised land. What we could really use are more cruise directors – consummate networkers who know how to get and keep our city’s movers and shakers on board and all rowing in the same direction. This isn’t about slapping a new name on an existing clique or rounding up the usual suspects for another tour of civic duty. We need large and diverse networks that connect people who’ve yet to meet and work together. As Bradley and Katz point out, the strongest networks are held together by a multiplicity of weak ties rather than a repetition of strong ones. The presence or absence of networks is one way to measure the health and future prospects of a city. Bradley and Katz have come up with a simple test to discern if a city is open or closed, collaborative or divisive. Talk with an elected official or appointed leader for 15 minutes. If she highlights the networks she’s leading and joining and sings the praises of her partners and collaborators, you have an open, functioning metropolis that has a fair shot at attracting talent, cracking hard problems and making key decisions. For Bradley and Katz, Northeast Ohio is a poster child for our post-hero economy and a test bed for building and stewarding networks. In 2003, foundations and philanthropic organizations from across the region joined forces to play a bigger role in rebuilding an economy that had lost nearly 200,000 manufacturing jobs in Cleveland, Akron and Youngstown. The foundations created a $30 million Fund for our Economic Future and launched a two-year Voices and Choices project. They consulted with more than 20,000 residents through one-on-one interviews, town halls and workshops to identify the region’s assets, challenges and priorities. Ninety individuals and organizations were then recruited to move the yardsticks on four goals distilled from the consults. Building networks is one of five steps for sparking a metropolitan revolution. The authors highlight revolutions already underway in Denver, Boston, Portland, Houston and New York City. These cities are taking control of their destinies and positioning themselves at the cutting edge of reform, investment and innovation. Pragmatic leaders with shared visions and commitments to their communities are working together to set ambitious goals, make distinctive bets and drive transformational change. This should be required reading for anyone who believes Hamilton is overdue for a metropolitan revolution. And the chapters on how Neighborhood Centers does community consults in Houston and how Boston’s creating an innovation district on its waterfront are worth a close read. This review first ran in the July 2 edition of The Hamilton Spectator. When I tweeted I was reviewing Youtility and giving a shout-out to @Hiltonsuggests, I got a tweet back from Hilton Worldwide within 5 minutes. Give it a try. While staying at the Magnolia Hotel in downtown Dallas, @LTHouston sends out a tweet asking if there are any good restaurants nearby. @Hiltonsuggests replies and recommends two restaurants within walking distance. But here’s the thing. The Magnolia Hotel isn’t a Hilton property. So why is Hilton Worldwide giving real-time recommendations to people who aren’t staying at their hotels or looking for a room at the inn? The company is playing the long game, rewriting the marketing playbook and winning over customers at a time when trust in business is on the wane. @Hiltonsuggests is a pilot project running in 25 cities around the world. In each city, hotel managers recruit employees to listen and help on Twitter. About half are from concierges. Most have little if any prior social media experience. Hilton Worldwide’s social media director says her company’s biggest opportunities come from helping people such as @LTHouston who are staying at a competitor’s property. Hilton is providing a level of service and responsiveness that prospective customers likely aren’t getting from their current hotels. @LTHouston is now wondering why his hotel didn’t tweet dinner recommendations and wishing he’d stayed at a Hilton. And if Melanie J lands a job after checking out orlandojobs.com, where do you think she’s staying for her first big-city vacation? Today’s tweets could become tomorrow’s bookings. Most businesses have a choice. Amaze your customers. Or help your customers be amazing. The second option is a safer bet and it’s where Youtility comes into play, says Baer. Instead of trying to be amazing, focus on being useful. Inform rather than promote. Forgo the coupons and come-ons and instead add real value that fosters trust and kinship with time-starved customers who are tuning out and turned off by traditional marketing and advertising. Like Hilton Worldwide, Phoenix Children’s Hospital is one of those organizations that creates marketing that people actually want, seek out and would happily pay for if asked. The hospital’s created a free and award-winning app that helps parents find the right car seats for their kids. The app, available on iTunes, makes already available information easily accessible and understandable for overwhelmed parents who are staring at rows and rows of car seats with their smartphones in hand. Baer credits Phoenix Children’s Hospital for utilizing Youtility to deepen bonds, break through the squall of marketing noise and forge friend of mind awareness with families and donors. Youtility doesn’t have to be high-tech. In Banff, Taxi Mike puts out a where-to-eat quarterly dining guide that ranks, rates and sorts the ski town’s restaurants. Along with posting the guide online, Taxi Mike drops off hundreds of photocopied guides at every restaurant, hotel, bar and tourist trap. As Baer notes, after spending the night polishing the brass rails at bars and pubs recommended by Taxi Mike, who are you hailing after last call for a ride back to your chalet? 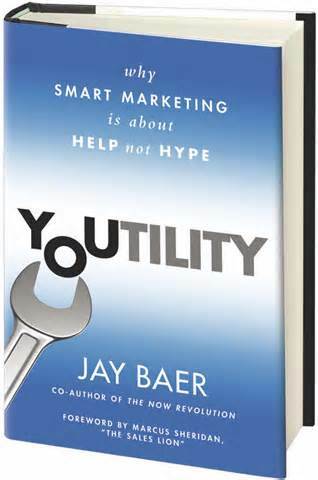 Drawing on real-world examples, Baer shows how to figure out what your customers want to know and then how to best get that value-added information into their hands. Baer practices what he preaches with a book that’s all help and no hype. 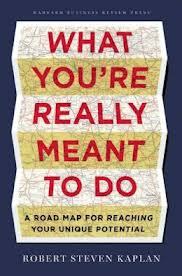 It’s a book that will inspire you to ask how your business can genuinely help your current and future customers.